​When I married in 2001, I moved 5½ hours away from my family & friends to a town where I literally knew no one except Robbie, my new hubby! We immediately found a church home, and a few months later a tall, slightly-stooped elegant woman approached me and introduced herself as Faye Holt. Ms. Faye, along with her friend Ms. Ruthie, had recently begun a new small group that met in their homes once a week. The group was called M&Ms – Mentors & Moms – and Ms. Faye’s desire was to mentor and encourage younger women. She was 72-years-old, a widow with grown children heeding God’s call to begin a new ministry. She invited me to attend because she had learned that my family was hours away and she wanted to mother and encourage me. Thus began a relationship that would have a profound impact on my life (and eventually my own ministry) as Ms. Faye became my mentor and friend. A mentor is a wise and trusted counselor or teacher, someone who will invest in your life in a personal relationship. A mentor is not someone who is going to tell you what to do. Not only did Ms. Faye open her home and offer a safe place for young women to find encouragement and love and advice, she shared God’s Word every week and took time EVERY DAY to pray for each of the ladies she came to know through these times together. Even when Robbie and I moved out of the area, she continued to call regularly to check on us and ask how she could pray for us in her daily time with the Lord. Mentoring is a powerful and personal way to walk in relationship with other women. 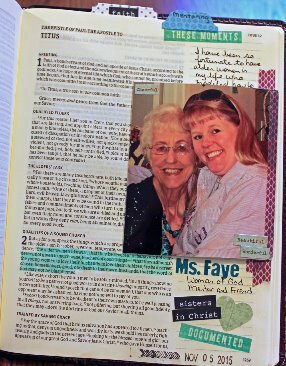 M&Ms was a group of women walking together, with Ms. Faye & Ms. Ruthie helping and guiding each of us as we grew in our relationship with the Lord and learned to deal with life’s ups and downs as godly women. 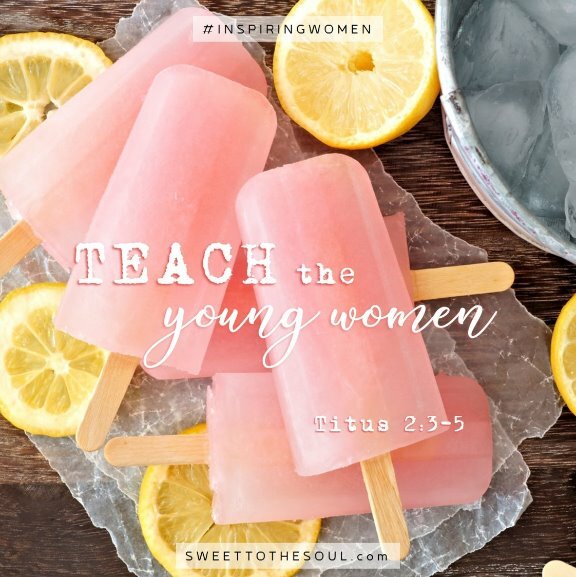 "​and so train the young women to love their husbands and children, 5to be self-controlled, pure, working at home, kind, and submissive to their own husbands, that the word of God may not be reviled"
​Many of us are familiar with these verses, but I was privileged to see this scripture lived out! As time went by and Ms. Faye could no longer drive, I stopped by occasionally to take her out to lunch, hoping to be a blessing and encouragement to her. Every time I drove away after one of these outings, I felt renewed and refreshed and blessed because she was a natural encourager and never failed to ask about all that was going on in our lives, to compliment any achievement no matter how large or small, and to say a prayer asking God’s blessings on our endeavors. 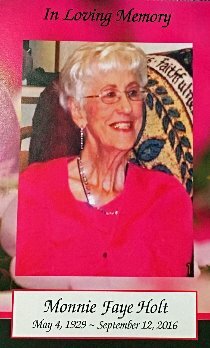 ​After a year of declining health and memory, Ms. Faye went to be with the Lord last fall. I remember the last time I talked with her on the phone – I knew she couldn’t truly identify who I was . . . but it didn’t matter! True to her mentoring nature, she asked how things were going in my life and ended the call with a prayer asking the Lord to continue to bless me and guide me as I continued my own quest to encourage other women to serve Him in their everyday lives. ​Maya Angelou once said, "I’ve learned that people will forget what you said, people will forget what you did, but people will never forget how you made them feel." It’s true! I will never forget the feelings of love and acceptance and confidence and blessing that came from spending time with Ms. Faye, my inspiring mentor and friend! Today's blog post is part of our Soul Inspired series Inspiring Women. ​And we have a special FREE printable to use for Bible Journaling or creative crafting. ​Just click on the link below - download - print - and journal! ​Melissa Gross feels the Lord calling her to lead and encourage women in their walk with the Lord. She is a teacher by passion and by training and has taught everything from Children’s Church to Ladies’ Bible Studies to the Young-at-Heart (elderly) Sunday School, from middle school technology classes to university level business courses. 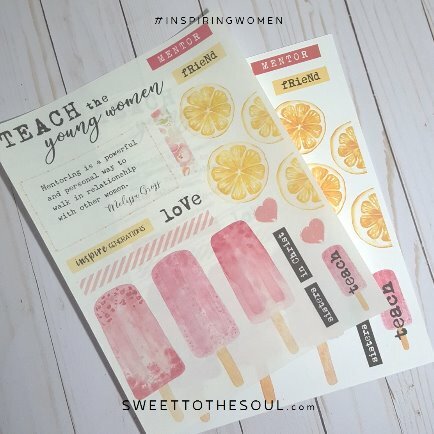 She is also an avid scrapbooker and has taught and coached in online and in-person scrapbooking, cardmaking, photo organization, mixed media, and illustrated Bible journaling classes. 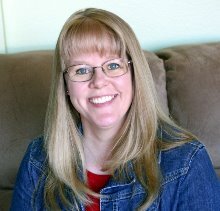 When she’s not teaching Bible Journaling workshops or gluing pretty pieces of paper together in her craft room, Melissa enjoys reading, cooking, blogging, and traveling. She lives in Texas with her best friend/husband, Robbie, and shares their everyday adventures and her latest scrapbooking and Bible Journaling projects on her blog: Daily Life – Bits & Pieces (www.melissagross.blogspot.com). Thamk you, Melissa, this is a beautiful and inspiring story. I'm sure your journal page would make Ms. Holt proud. (In a Godly way of course).